We make it easy to get started with T4 GPUs for ML, compute and visualization. 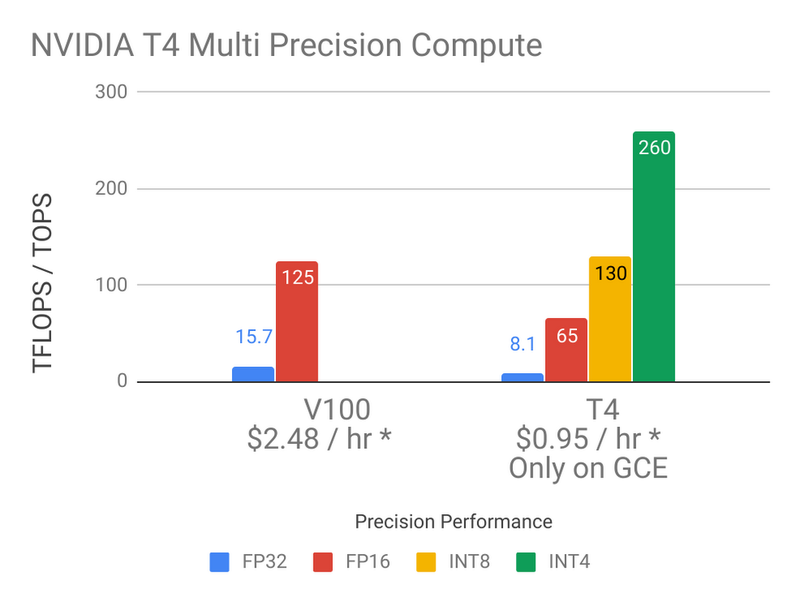 Check out our GPU product page to learn more about the T4 and our other GPU offerings. For those looking to get up and running quickly with GPUs and Compute Engine, our Deep Learning VM image comes with NVIDIA drivers and various ML libraries pre-installed. 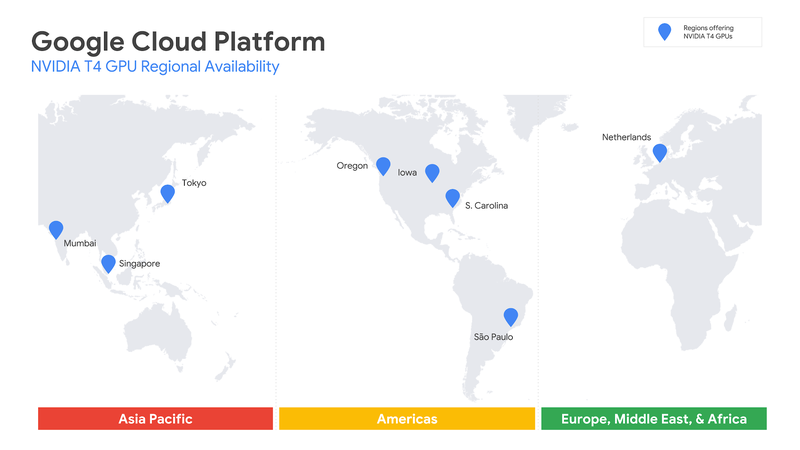 Not a Google Cloud customer? Sign up today and take advantage of our $300 free tier. Want a demo? Watch our on-demand webinar to discover the eight reasons why to run your ML training and inference with NVIDIA T4 GPUs on GCP.